Book came just as described and the transaction was seamless. Thanks! From the opening line I loved every single part of this book, right to its incredibly poetic ending that made goosebumps spring up as I desperately read the last few lines. It is of the magical surrealism genre, sort of along a similar vein as Haroun and the Sea of Stories, or The Alchemist, in the way that the plot has absolutely no boundaries in what may or may not happen. I love this book but I can understand why others may not - it is relatively long and very convoluted but I enjoyed that; I loved how it jumped back and and forth between each generation, reminiscent of the surreal tales of Ovid's Metamorphoses. (Another book I strongly recommend!) It has an array of quirky and enchanting characters all placed in the most incredible situations, although I must note that family tree that appears in most volumes is very helpful! It is a book that I recommend to almost everyone - except those that have little patience, or do not enjoy surrealism. It is a book that I often return to simply to jump in and out of certain episodes. It is beautiful and incredibly enchanting, and brimming with brilliant quotes from Marquez' many ponderings on the many aspects of life. Nice book , delivered on time and fantastic read. Part of a group of books I ordered. This item was just as described by the seller. Delivery was prompt. Never has a story been told so magically, eloquently, and with such attention to detail. 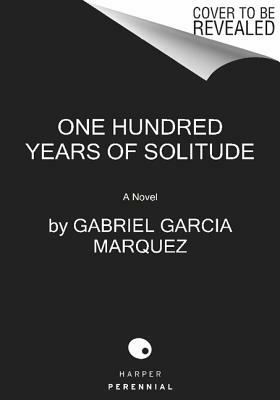 Marquez transports the reader to a fantastic world which is as full of truth and emotion as it is of wonder and absurdity. If you are like me, you will read this book time and time again.